"The costumes were incredibly made. Those corsets - you feel like you can't breath sometimes. It's very helpful when you are feeling frustrated with your male advisers, to feel that shortness of breath," said Robbie, who plays Elizabeth. 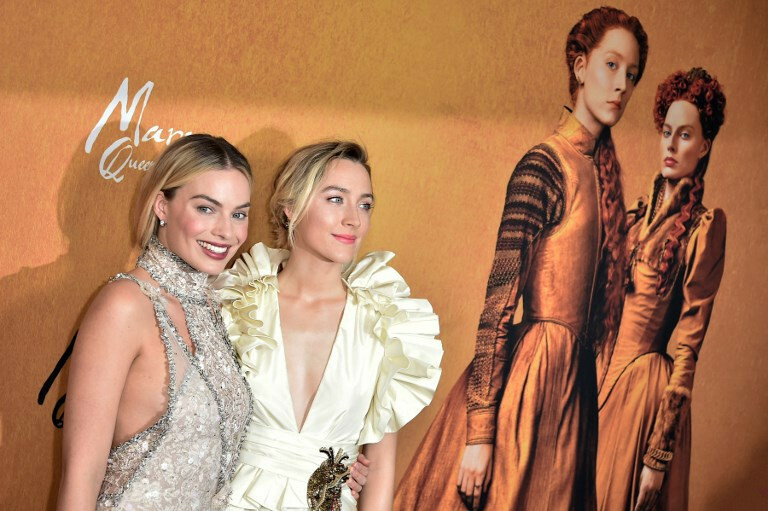 Mary Queen of Scots has sisterhood and frustration aplenty as the two young royals wrestle with politics, plots, power, love and their scheming male advisers. It is one of several movies winning attention as Hollywood's awards season swings into gear that is headlined by two or more women. It is also directed by a woman - Britain's Josie Rourke but was made before the #MeToo movement fueled demands for more female voices in Hollywood. "I loved being on a horse. When you are having to deal with the elements and a corseted costume and animals, it informs the performance," the actress said. "Elizabeth gave England the longest period of peace...but I think as a person, she lost everything - her womanhood, her humanity," said Robbie. "I think she so badly wished she could behave the way Mary did sometimes." "To see Mary standing there, young and fierce and asking for help and knowing I wasn't going to give it, was heart-breaking," she said. "I was sobbing. It was a really, really emotional moment for me."